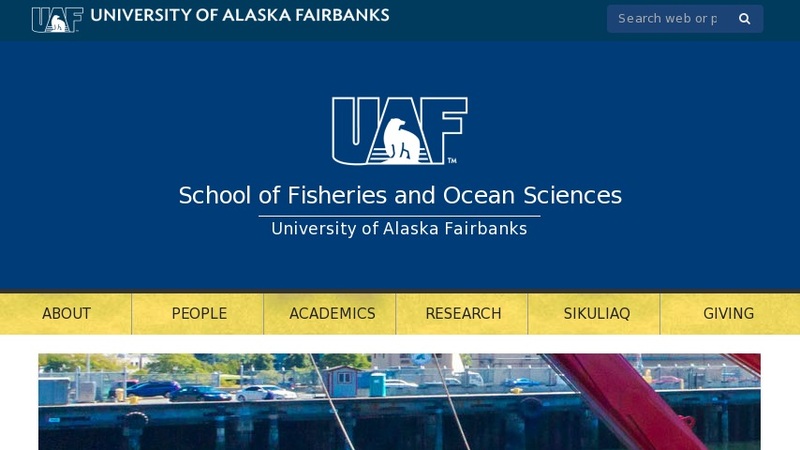 Introduces the university campus, faculty and staff of the School of Fisheries and Ocean Sciences, including research projects, publications and community outreach. Describes undergraduate degree in fisheries, graduate degree programs in fisheries, marine biology, oceanography, and interdisciplinary degree in seafood science and nutrition. Lists required courses, identifies advisors, answers FAQ, and provides information about tuition costs, scholarships, financial aid and employment opportunities, housing and student lifestyle.